Imagine people hustling and bustling in search for the finest goods this 19th-century neighborhood had to offer. Now picture the Parthenon atop the Acropolis in Greece. Together the two images create the landmark “temple of trade” known as The Providence Arcade, the nation’s oldest existing indoor shopping mall. It’s been a hallmark of business in downtown Providence since 1828. 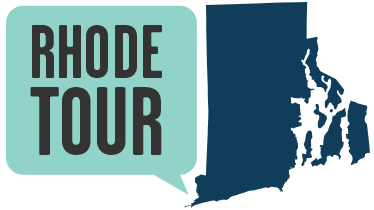 Until the early 19th century, Providence’s commercial district lay primarily on the East Side. After a fire in 1801 destroyed nearly forty buildings along South Water Street, many businesses moved to the west side of the river; a new commercial center of Providence was born. 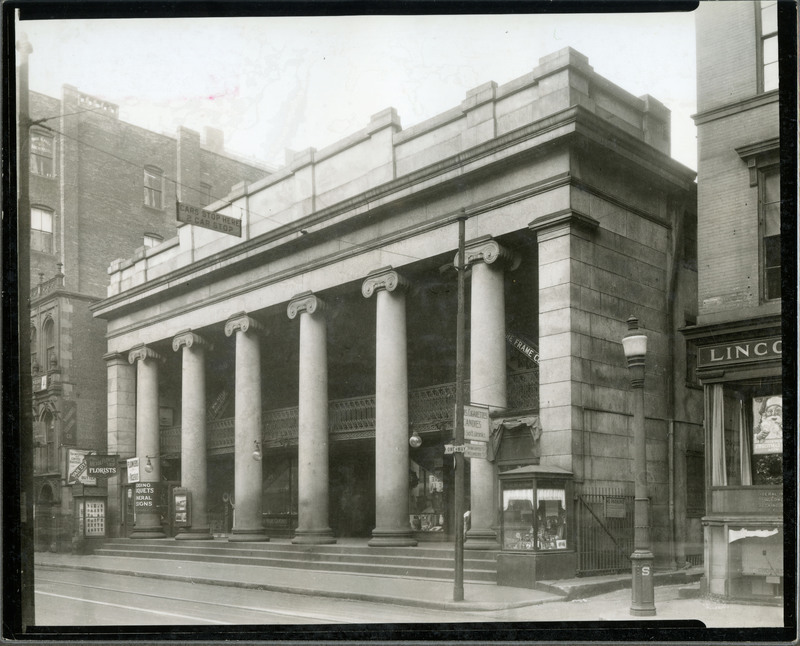 Initially business was slow in the newly opened Arcade, but when a fashionable hat shop opened nearby, people began to frequent the shops between Westminster and Weybosset Streets. Designed by Russell Warren and James Bucklin, the architecture is notable due to two slightly different facades. Travel to the Weybosset side, and you’ll find Warren’s design: six granite Ionic columns rooted underneath a parapet. Venture to the Westminster side, and you’ll find six ionic columns connected to a pediment, designed by Bucklin. A beacon of business into the 20th century, the Arcade closed for repairs and reopened in 2013 with modern updates and additions, including some of the nation’s first microlofts located on the upper levels. Today the skylight-lit interior is home to several shops and restaurants that make the Arcade a shopping destination for downtown Providence. Russell Warren's Design: Two renowned architects designed this temple of trade. There's debate about how different the two designs really are. Go to both sides and make up your own mind! 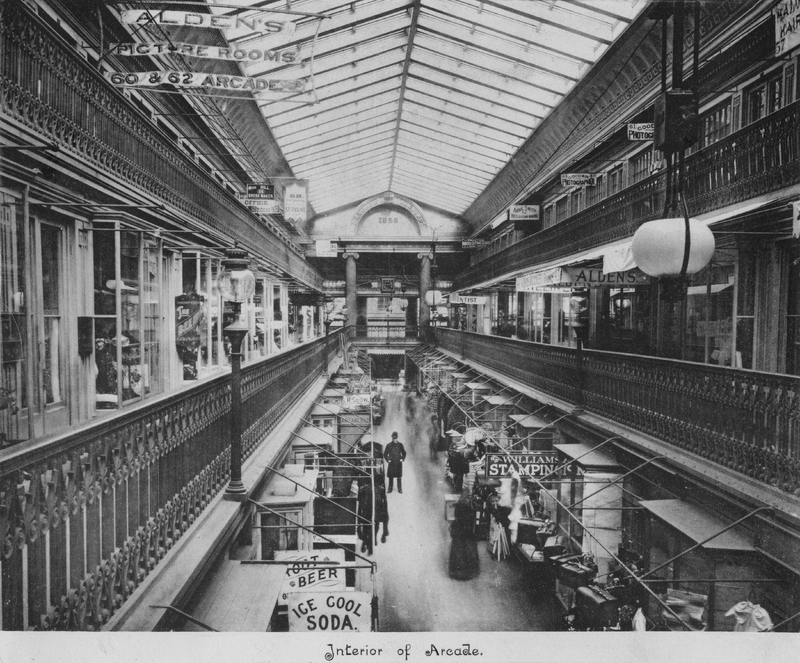 Interior Image of the Arcade (c. 1880): Shopping at the Arcade is a longtime tradition in downtown Providence. Imagine all of the items purchased here over the years! Listen to learn more about the construction of the Arcade. In 1976 the Arcade was named a National Historic Landmark. Be sure to walk inside and check out all the Arcade has to offer! Amelia Golcheski, “The Arcade,” Rhode Tour, accessed April 21, 2019, http://rhodetour.org/items/show/200.